I’m back, and had a different post prepared for today, but I woke up to some upsetting news. 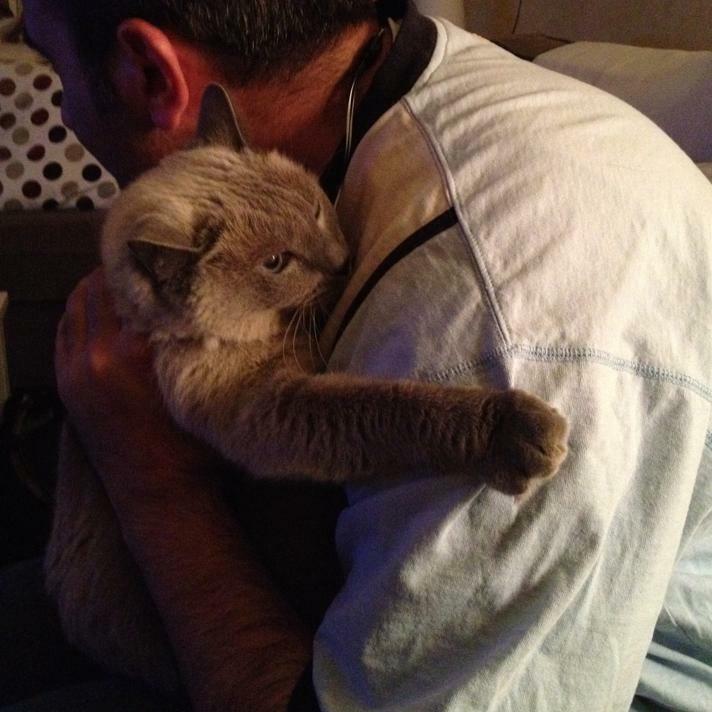 We lost a member of our family today, Dima, my brother’s cat who’s been around for 14 years. I never thought of this moment before, and never thought that it would be that devastating. Being this upset made me think about people who take other people’s lives without a blink of an eye… I mean, I guess it’s something that I will never understand. The loss of a soul is a loss to all humanity. The title of this post were my brother’s words to me when we was describing to me Dima’s last moments. Below is what he posted on fb today, and there was no way I could’ve said it that well. “I took Dima to the hospital on Friday. She was weak, haven’t been eating and drinking much. She was found to be dehydrated and was still showing symptoms of a bad cold. Blood test results came in to indicate that her kidneys were not working and that her immune was very low. Over the past three days, they treated the dehydration and cold symptoms and tried to boost her immune in hopes that doing all this would reduce the stressed on her and revive her kidneys, unfortunately that didn’t happen. It was the hardest call I ever had to make…..
Dima Shamma was put to sleep at approximately 3:40pm today July 22nd, 2013. She was born on October 29, 1999. I took her and buried her in northern Jeddah at an empty lot where two other cats that used to belong to my relatives were also buried. So sorry for you and your brothers lose. I’ve been there. A real loss. You have my sincere condolences. Thank you so much Warren, it really is a real loss. Oh I’m sorry for you, I had also a cat for 18 years and it’s always a dear part of your family ! I wish you many strength. I am sorry. 😦 She was a beautiful cat! Sorry to hear about your loss. She looked like a fine cat. She really was Richard, thank you for your kind words. Thank you all so much. She was a sweetheart. Really well-behaved. I miss her terribly. Yes it is, thank you for your comment.